Chrome Plated. 5-1/4" X 5-1/4" X 2". Complete Unit. 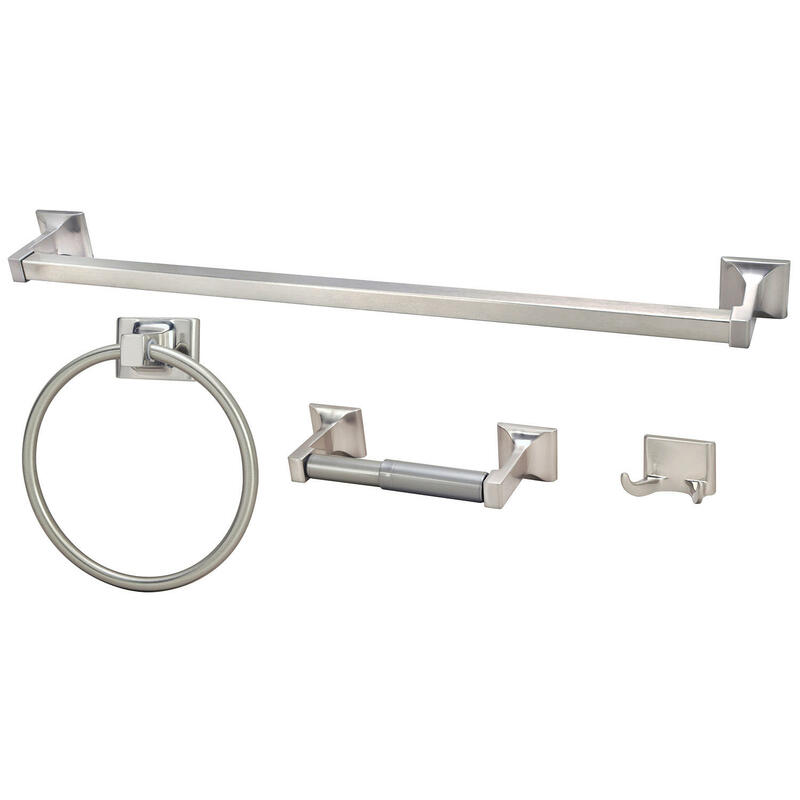 The Design House 535698 Allante 4-Piece Bathroom Kit completes the look of your bathroom with a towel ring, robe hook, towel bar and toilet paper holder. 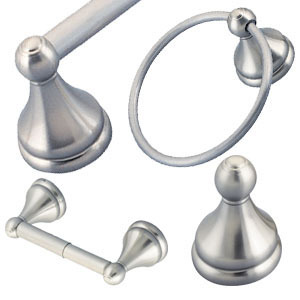 Made of zinc and aluminum with a satin nickel finish, the concealed screws add a casual elegance to your bathroom. 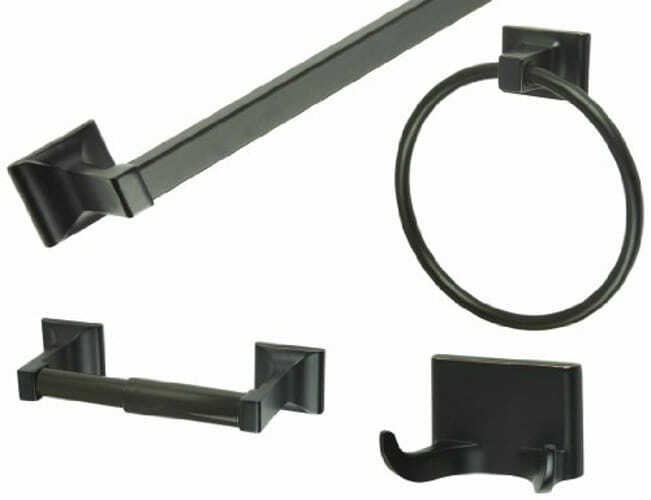 Ez Anchor mounts are included in this kit for installation on drywall and a mounting template is printed on the back of the package. Anchors are a cleaner alternative to plugs, save time and create a sturdy mount. Complete the look of your home with the rest of the Allante collection, which features light fixtures, mirrors and other bathroom accessories. 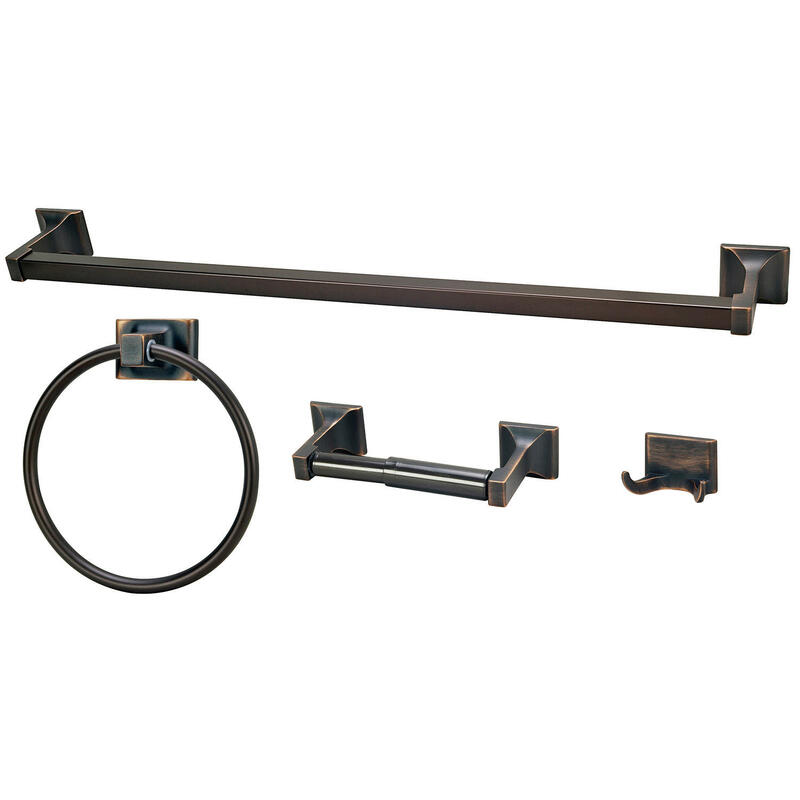 The Design House 535698 Allante 4-Piece Bathroom Kit comes with a 1-year limited warranty that protects against defects in materials and workmanship. White Ceramic. Flanged-Grout In Type. 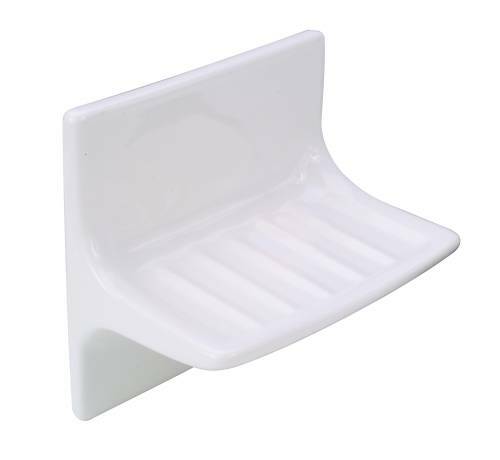 Tub Soap Dish and Cloth Holder. Available In Three Finishes To Match A Wide Variety Of Premier Faucet Styles. 13 Oz. Capacity. Chrome. 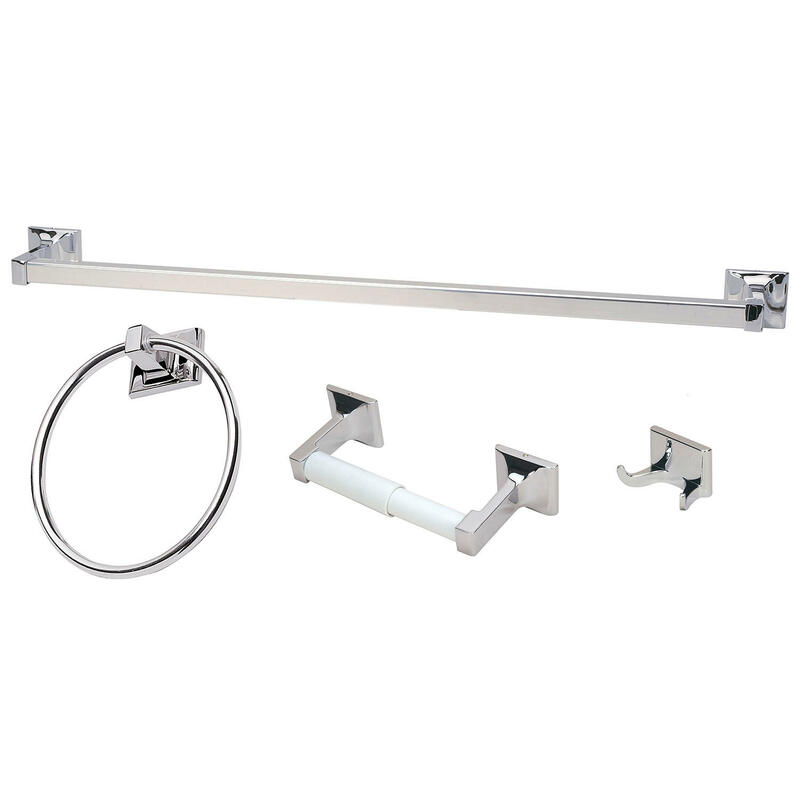 The Design House 534644 Millbridge 4-Piece Bathroom Kit comes with a towel ring, robe hook, towel bar and toilet paper holder. 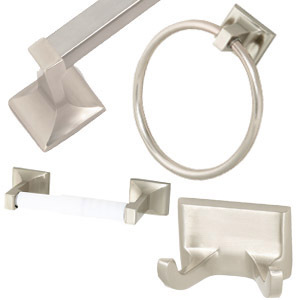 Made of zinc and aluminum with a satin nickel finish, this kit adds a modern aesthetic to most decors. 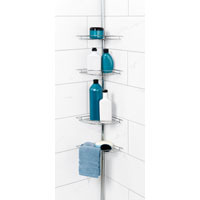 Hang large towels on the 24-inch towel bar and hand towels on the 5-9-inch towel ring. 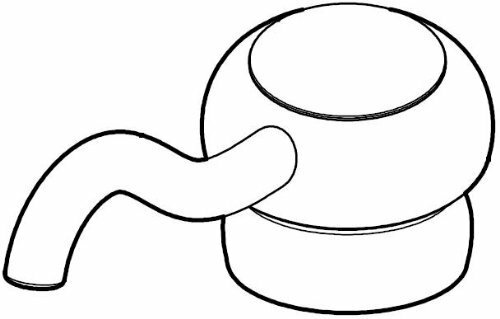 The toilet paper holder measures 8.2-inches and the robe hook is 2.5-inches. The Millbridge collection features ceiling fans, light fixtures, shower heads and faucets and much more. 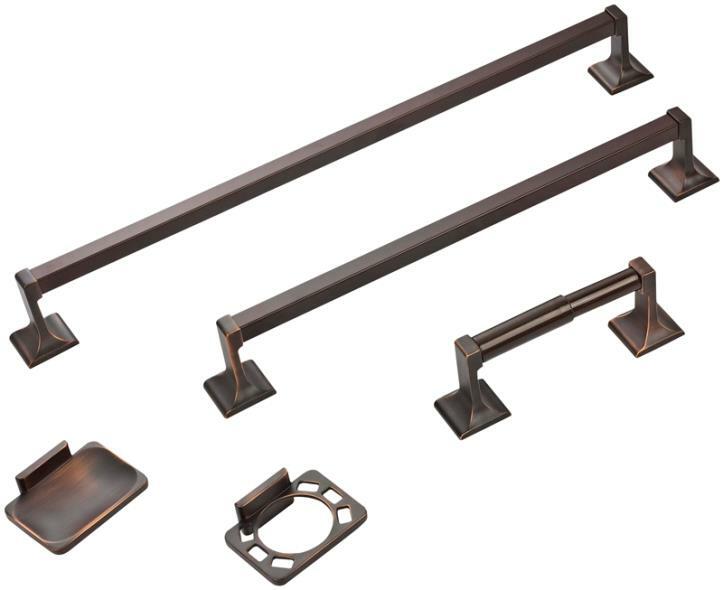 The Design House 534644 Millbridge 4-Piece Bathroom Kit comes with a 1-year limited warranty that protects against defects in materials and workmanship. 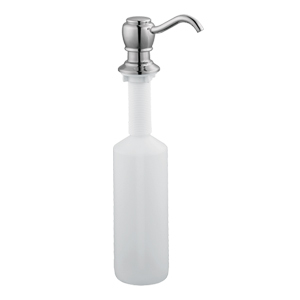 The Design House 522276 Soap Dispenser has a classic design with an easy to fill plastic container. 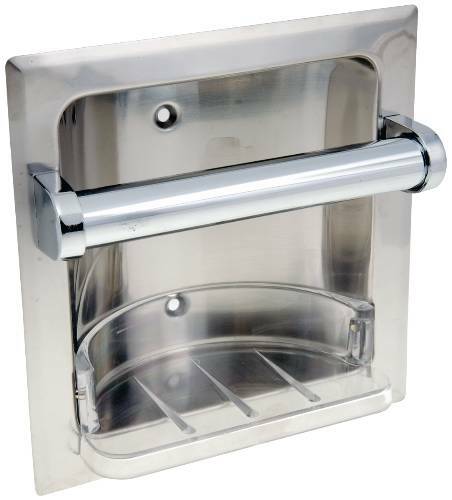 This dispenser adds elegance to any kitchen or utility room and is part of the Tru-match program, which ensures matching finishes across all product categories. 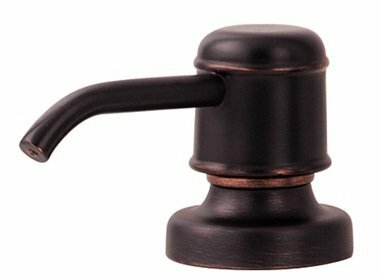 The brushed bronze head dispenses soap next to your faucet and fits on thick countertops. The traditional build is perfect for your kitchen or bathroom and blends modern aesthetics with the latest trends in interior design. Providing your home with soap, detergent or anti-bacterial solution, this dispenser keeps your family safe and healthy. Apply light pressure and the perfect amount of soap is dispensed. Disposable soap dispensers are often misplaced or run out of solution. 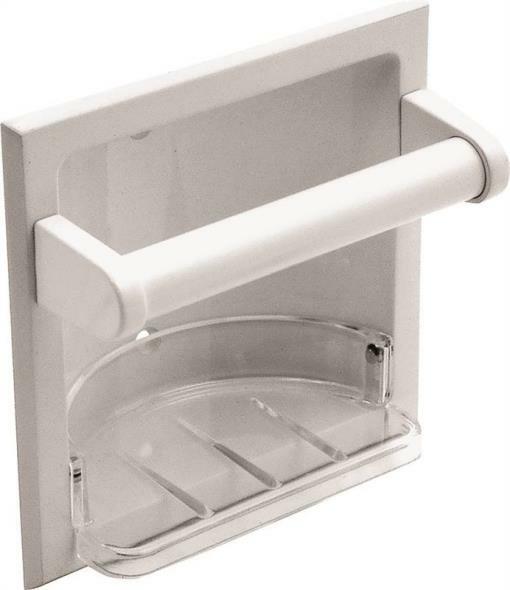 Simply refill this dispenser with a bulk package and never run out of soap again. 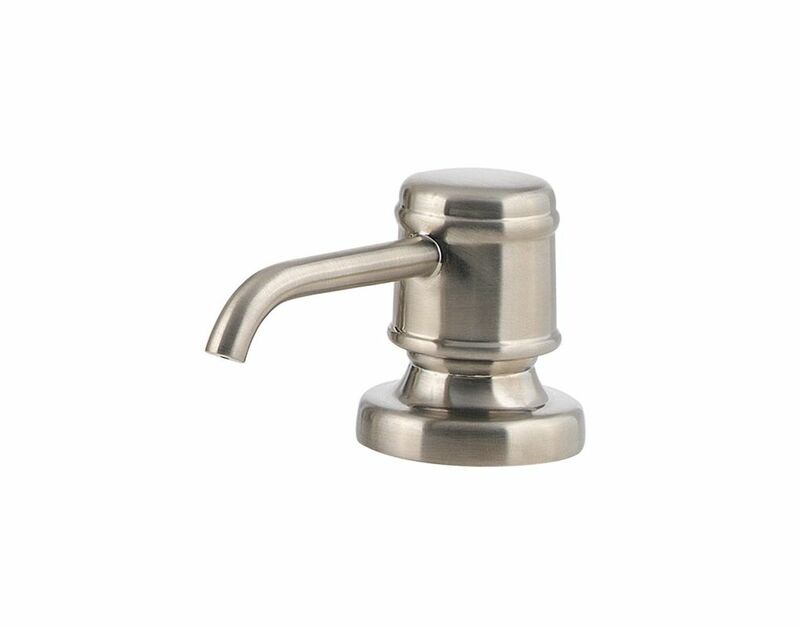 The Design House 522276 Soap Dispenser comes with a limited lifetime warranty that protects against defects in materials and workmanship. 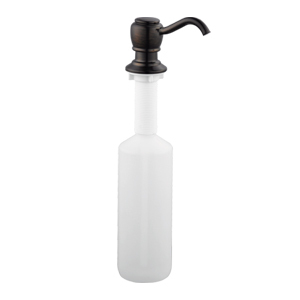 The Design House 522243 Soap Dispenser has a classic design with an easy to fill plastic container. This simple dispenser adds elegance to any kitchen or countertop and is part of the Tru-match program, which ensures matching finishes across all product categories. This classic design is perfect for any kitchen or bathroom. 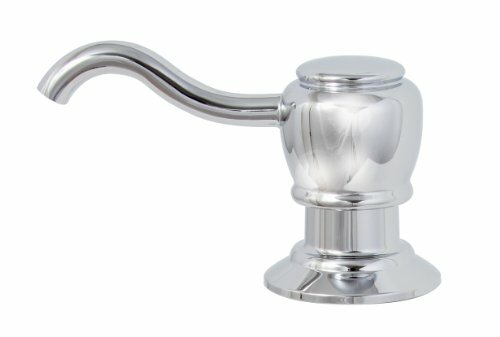 The chrome head dispenses soap next to your faucet and fits on thick countertops. This product is perfect for your kitchen or lavatory and blends traditional aesthetics with the latest trends in interior design. 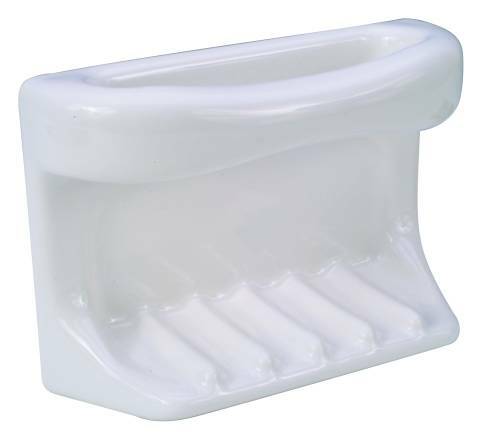 Providing your home with soap, detergent or anti-bacterial solution, this dispenser keeps your family safe and healthy. Apply light pressure and the perfect amount of soap is dispensed. Disposable soap dispensers are often misplaced or run out of solution. 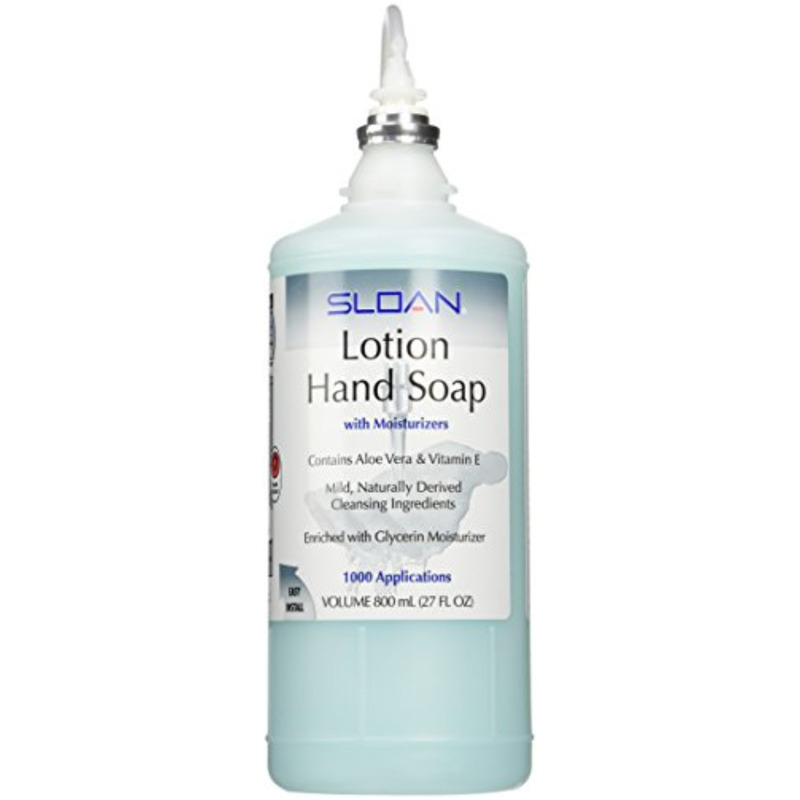 Simply refill this dispenser with a bulk package and never run out of soap again. 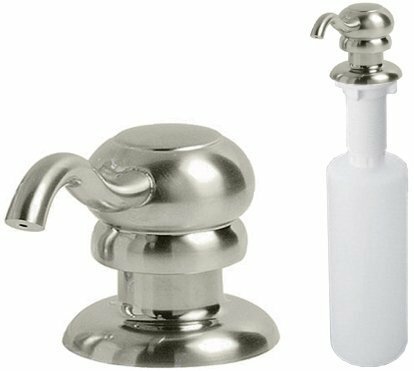 The Design House 522243 Soap Dispenser comes with a limited lifetime warranty that protects against defects in materials and workmanship. 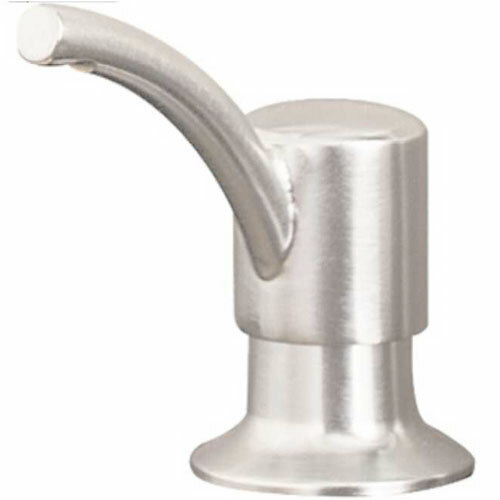 Available In Three Finishes To Match A Wide Variety Of Premier Faucet Styles. 13 Oz. Capacity. Brushed Nickel.